With the holiday shopping season behind us, it's clearer than ever tablets are cutting deeply into traditional PC sales, even after the launch of Windows 8. According to Gartner, PC sales fell by 4.9 percent in the fourth quarter of 2011, compared to the same quarter a year earlier. Lenovo and Asus actually managed to grow their PC shipments by 8.2 percent, and 6.4 percent, respectively, but they couldn't make up for sales declines for other PC makers, including a massive 20.9 percent dip in shipments for Dell. The problem, according to Gartner analyst Mikako Kitagawa, is that consumers have become less reliant on PCs for casual use. So while families may keep a shared PC at home for work and creative tasks, they're buying new tablets instead of replacing their aging laptops. Microsoft's Windows 8 is supposed to stave off the PC's decline by combining a new tablet-friendly interface with a traditional desktop. To take full advantage, some PCs such as Lenovo's Yoga convert into tablet-like forms, and some tablets such as the Acer Iconia W510 come with attachable keyboard and trackpad docks. 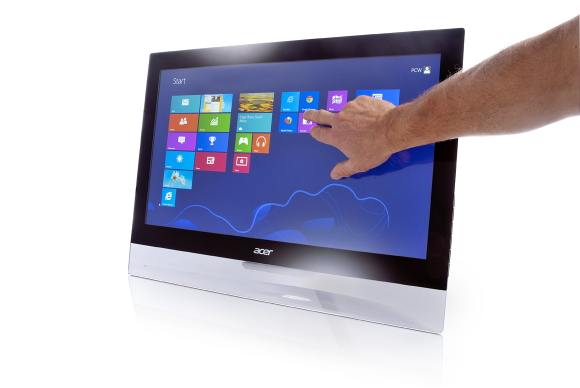 The idea is that users can have the benefits of a tablet without sacrificing productivity. But the launch of Windows 8 hasn't exactly been smooth sailing. Despite a launch date of October 26 for Windows 8, the most interesting hybrids and convertibles were in short supply during the holidays, due to supply chain issues. There are also deeper problems with these devices in general, at least for the first generation of hardware. At the moment, consumers who want a hybrid or convertible with a full version of Windows 8 must either choose an Intel Core-based system or an Intel Atom-based system. The former offers great performance, but weak battery life compared to the iPad or Android tablets. The latter offers tablet-like battery life, but performance can seem lacking at times, even compared to other tablets. It's hard to recommend first-generation Windows 8 devices when Intel is promising much better performance and battery life in its upcoming Bay Trail and Haswell processors. Consumers can also choose a Windows RT device, such as Asus' Vivo Tab RT , but then they can't install desktop software on it. Right now, app installs are limited to the nascent Windows Store, which doesn't have nearly the selection of either iOS's or Android's respective app stores. The good news is that all of those problems can be improved upon with time, and it's not like Microsoft is going to give up anytime soon. (The company says Windows 8 license sales are following a similar trajectory to Windows 7.) Hopefully better hardware, more apps and maybe even a more refined version of Windows will make for a better crop of PCs later this year.